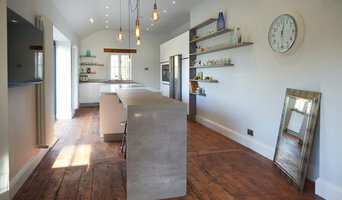 Voga Interiors is a friendly, independent showroom in Cirencester specialising in kitchens, bathrooms and living spaces. As kitchen designers in Cirencester we are passionate about design; our showroom is designed to inspire. Whether supplying a single tap fitting or project managing a whole house installation including building work, our sole aim is your complete satisfaction. With over 35 years of experience within the kitchen industry and a relaxed and homely showroom we have the perfect environment to bring together all the elements required to create your dream kitchen, be it ultra modern, contemporary, classic or traditional. We are here to guide our clients through the exciting experience of designing and ordering a bespoke kitchen from the initial measurement to final installation. Style, practicality, durability, functionality are all attributes that we are able to combine within the design process, enabling us to achieve a kitchen design that personally suits you, our client. George Robinson has been involved in the design and manufacture of beautiful bespoke kitchens and traditional fine furniture for more than 20 years and as a company we are currently in great demand and are expanding. 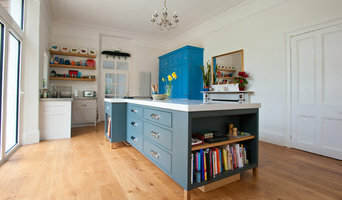 All of our solid wood bespoke kitchens and furniture are designed and handmade in Cornwall. 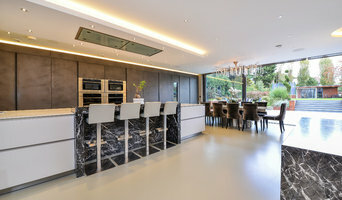 With a solid reputation for attention to detail, excellent customer service and a wealth of experience George Robinson Bespoke Kitchens are the natural choice in helping you plan and create your beautiful and functional living environment. Revolutionising the way to order your new kitchen online, our ethos is to supply showroom quality kitchens direct to the public for less than the DIY multichains. By organising the design and fitting of your kitchen units, you can save up to 75% on showroom quality kitchens. Our exclusive handmade ceramic wash basins are one of a kind pieces, no two are exactly the same, each basin is hand-painted by Argentinean artisans. Lovasi International is the exclusive distributor for Fango Bachas an Argentinean company that manufactures exclusive handcrafted ceramic wash basins. Each wash basin is a unique and artistic piece adding style and beauty to a room. Lovasi International provides unique product distribution in the United Kingdom, Canada and the United States. Finding Unique Pieces for Life is our mantra. We continue to search the globe, bringing our customers originality of products, elegant and exclusive designs and collections that demonstrate superior quality and innovation. There is something about the feel of wood, and that is a connection that Uwe Stange has never neglected. He is the epitome of a hands on businessman, examining every plank that enters his premises. It may be fashionable to agree, but that does not change the timeless connection that wood engenders with both environment and history. “No matter how you source your wood, no matter at what stage you engage with the material, wood still speaks to you as a living thing,” says Uwe, the founder and master craftsman behind Stange Kraft. Uwe’s origins, like so many in Scotland’s thriving Livingston new town, just outside Edinburgh, his roots are from elsewhere. No family heritage for him in Lanarkshire or Glasgow, like so many of his neighbours. Uwe is from a little further afield, reaching West Lothian from Germany, by way of Namibia and then later South Africa. Stange Kraft is based in West Lothian, Scotland but we are more than happy to work through-out the United Kingdom. Right from the raw materials, we’re constantly checking a whole host of parameters. Sure, it’s possible to make comparisons here, between this workshop and an artist’s studio, but there are no discarded canvases hiding in the back room. Everything commissioned is everything we build. There’s no waste.” We’re not producing lifestyle choices, we’re crafting lifetime choices. The pieces we make here are invariably part of the fabric of the home, and they’ll be there as long as the building exists, almost without exception.” Fit for a president, in fact. There are already a privileged handful, who are proud to show off their Stange Kraft originals, and ebullient enough to share the secret too. We are, if you like, the antidote of flat pack, pre-packaged standardisation. Stange Kraft is no sapling business, as Uwe has honed his craftsmanship in a previous enterprise, Universal Joiners. Ideas that reimagine function and bring innovation to the everyday. Together with our elite group of Studio Partners, we bring you the knowledge and expertise to make your living space smart, organised, flexible and future proof. Simply a better place to be. Häfele believes that the perfect home is about more than just great looks. It is also about creating a space that perfectly combines style with function, and is tailor made to suit you and your lifestyle. This is the Häfele ‘ideas for living’ philosophy. Creating individual, inspiring, functional spaces that have a positive impact on the way you live. 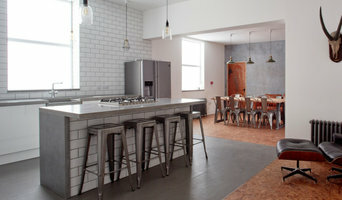 Find your local Studio Partner and make your dream kitchen a reality. Founded in 1991 by Phillip Ozorio, Connaught Kitchens' ethos has been driven by having an acute attention to detail and acquiring the ability to interpret our client's expectations. Located at the heart of Connaught Village near Hyde Park, London, we offer a full design, installation and project management service. With a select team of experienced and qualified interior designers, Connaught Kitchens can completely project manage your kitchen, from conception to completion. A minimum of two designers working on every project ensures that there is always somebody available to answer any design queries. Specialising in Leicht contemporary kitchens, we incorporate interior design trends and knowledge with ergonomic designs; we strive to create the perfect space for you to meet, dine and socialise. What should I hire a kitchen and bathroom fixtures specialist for? Whether you are doing up a house you’ve moved into or you want to update your bathroom suite or fitted kitchen, working with a kitchen and bathroom fixtures specialist will be extremely helpful. Even if you want to source your own fitted kitchens and bathroom fittings from bathroom and kitchen showrooms, unless you are a skilled craftsman someone will have had to make the fixtures and unless you are a plumber you’ll probably need some help with installation! On Houzz you can find kitchen suppliers, manufacturers and installers of fixtures and fittings to help with all aspects of the process. In the kitchen you can change more than just the sink and taps. 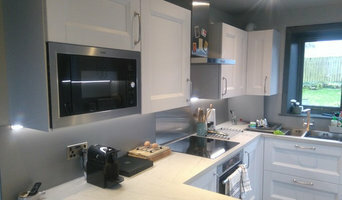 Even without ripping out all the fitted kitchen units, you can still have bespoke kitchen doors made to replace the old ones and worktops laid over old surfaces or replacing them entirely. Instant boiling water taps, waste disposal units and induction hobs are just some of the gadgetry and convenient fixtures that are available for fitted kitchens from kitchen showrooms and suppliers. Take a look at the kitchen suppliers listed on Houzz to find out the sort of fixtures and fittings they offer. A bathroom isn’t a bathroom without its plumbing fixtures and good bathroom fixtures can make or break a home when it comes to selling potential. Take time to pick out bathroom fittings that work together; you can opt for a whole bathroom suite from a bathroom showroom or bathroom installer, but if you don’t want the overly matching look, a bathroom fittings specialist can help you choose individual but complementary pieces. Power shower installation can boost the appeal of your bathroom (no one likes a weak shower) and extra special features like his and hers sinks, shower body jets and roll top baths will give your bathroom style that added oompf. If you can’t stretch to extravagant bathroom fixtures you can still talk to a fixtures specialist about electric shower installation or installing a new toilet; it may seem like a lot of hassle at first, but when you leave it to a professional, all the hassle is taken off your hands. Many kitchen and bathroom designers will install or offer help with your fitted kitchens, bathroom fittings and fixtures, so if you want an all-in-one renovation service, you can contact these professionals on Houzz as well. Talk to kitchen showrooms, suppliers and bathroom stores to see if they offer their own installation service or can recommend a local installer for you. Here are some related professionals and vendors to complement the work of kitchen & bath fixtures: Kitchen & Bathroom Designers, Kitchen & Bathroom Fitters, Interior Designers, Cabinet Makers. Find kitchen or bathroom fixtures and fittings manufacturers on Houzz. Check out fitted kitchen showrooms and bathroom fittings installers on Houzz. You can also look through project photos provided by kitchen suppliers, bathroom renovators, showrooms and designers to find fixtures you like and contact the professional who installed them.